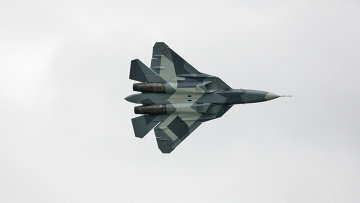 RIA Novosti reports the second T-50 (PAK FA) testbed will begin flight tests before the end of the year, according to Sukhoy chief Mikhail Pogosyan. He said the first testbed has performed 40 flights. Sukhoy is satisfied with the course of testing which has gone faster than expected. Pogosyan added that negotiations with India on its entry into the fifth generation fighter program should be completed this year. Russia and India will roughly split the development expenses for one- and two-seat versions. The PAK FA will start to enter the Russian inventory in 2015, and Indian forces around 2020.